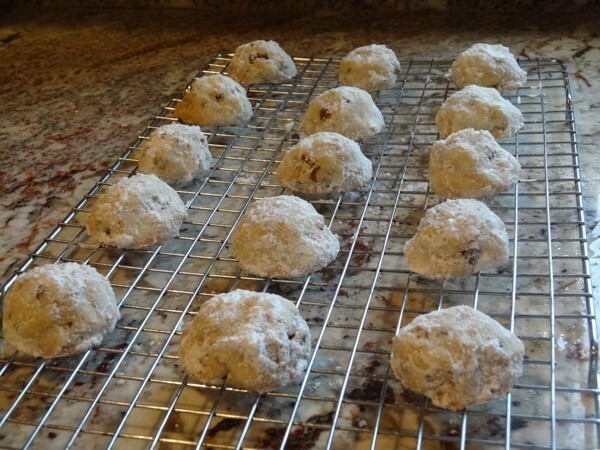 Snowball Cookies are a classic cookie great for the holidays. Only six ingredients needed to make this buttery, nutty delight. These classic cookies are fondly recognized by adults with people recalling relatives making these delicious treats. They go by several different names. 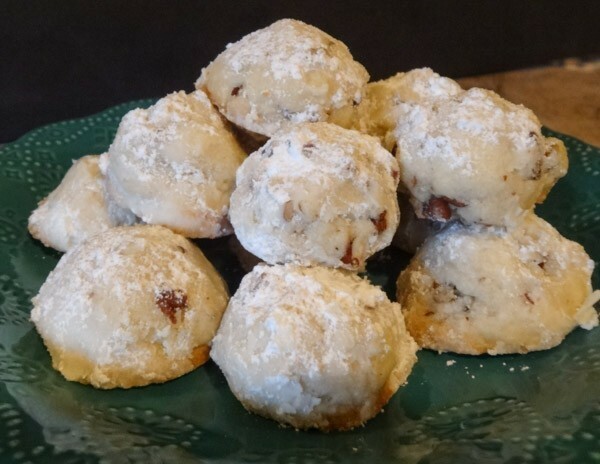 I’ve always known them as snowball cookies or pecan balls, but they are also referred to as Mexican Wedding Cookies or Russian Tea Cakes. Regardless of the name, this cookie remains as a simple, understated cookie and is a great addition for holiday platters. It does not contain eggs and has a crumbly texture that melts in your mouth as you take a bite. They are easy to make and a batch can be whipped up in less than an hour. Preheat oven to 350 degrees F. Line a baking sheet with aluminum foil and lightly spritz with non-stick cooking spray. Place chopped pecans on pan and bake for 5 minutes. Set aside to cool. In large bowl, add in butter, powdered sugar, vanilla extract, and salt. 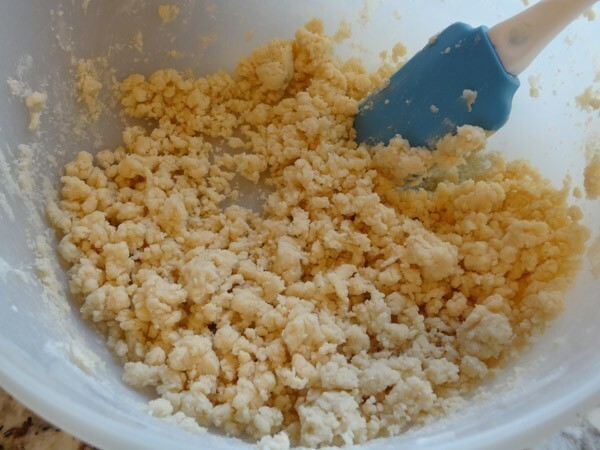 Blend with electric mixer on medium speed for 2 – 3 minutes. Add half of the flour and blend on low speed until ingredients start to combine. 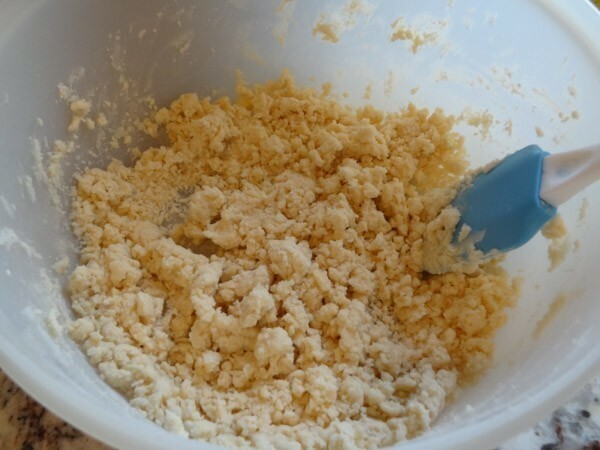 Add in remaining flour and continue to blend until combined. Cover top of bowl and refrigerate for 30 minutes. 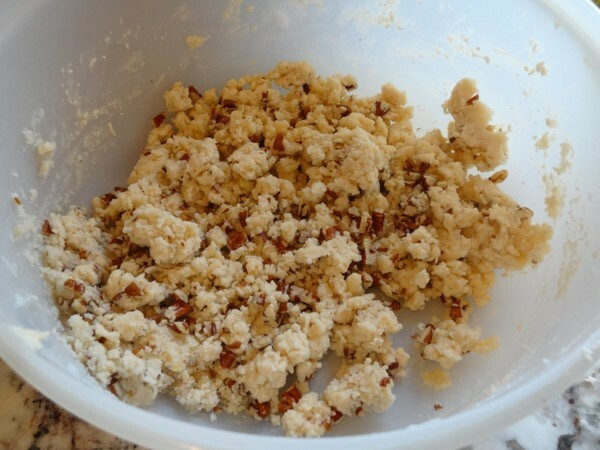 Scoop out a tablespoon of dough at a time and roll into balls. Place on baking sheet lined with parchment paper or with silicone baking mat. Bake at 350 degrees for 13 to 15 minutes. Bottom edges of cookie should be golden brown. Tops of cookies will not be golden and this is normal. Be careful to not over bake, otherwise, they will be too dry. Remove pan to wire rack to cool for 3 to 5 minutes. Place 1/2 cup of powdered sugar in shallow bowl. Proceed to roll warm cookies in powdered sugar and then place on wire rack to cool. The powdered sugar absorbs into the cookie so I’d recommend rolling the cookie balls again in the sugar once they’ve cooled. 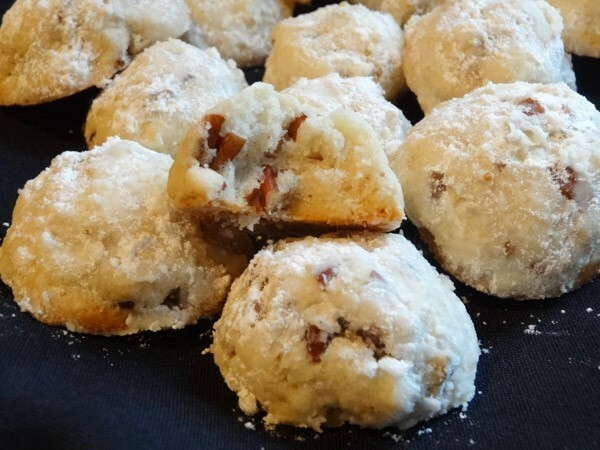 Snowball Cookies are a classic cookie great for the holidays. Only six ingredients needed to make this buttery, nutty delight that melts in your mouth with every bite. Preheat oven to 350 degrees F. Line baking sheet with aluminum foil and lightly spritz with non-stick cooking spray. 2. Place chopped pecans onto pan and bake for 5 minutes. 3. Remove pan to wire rack to cool. In large bowl, add in softened butter, 3/4 cup of powdered sugar, vanilla extract, and salt. Blend with electric mixer on medium speed for 2 to 3 minutes. 2. Add half of flour to bowl and blend on low speed until ingredients start to combine. Add in remaining flour and blend until ingredients are combined. 3. 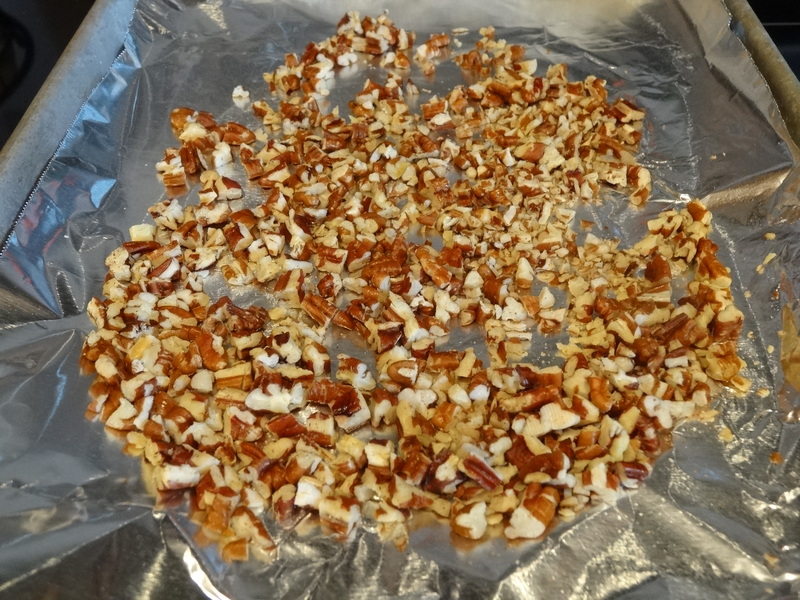 Fold in toasted pecans. Cover bowl with saran wrap and refrigerate for 30 minutes. 4. 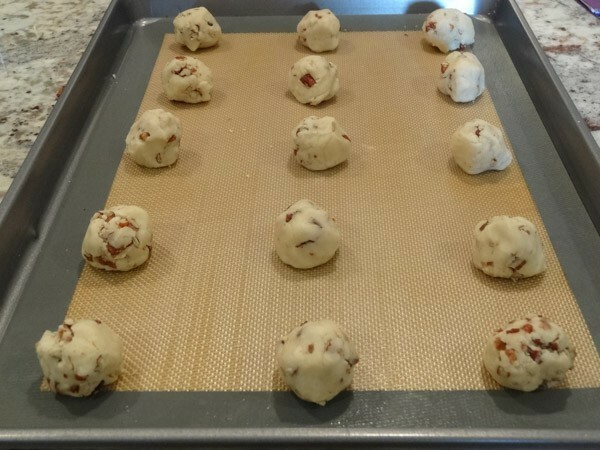 Roll dough into tablespoon sized balls and place on silicone or parchment lined baking sheet. 5. 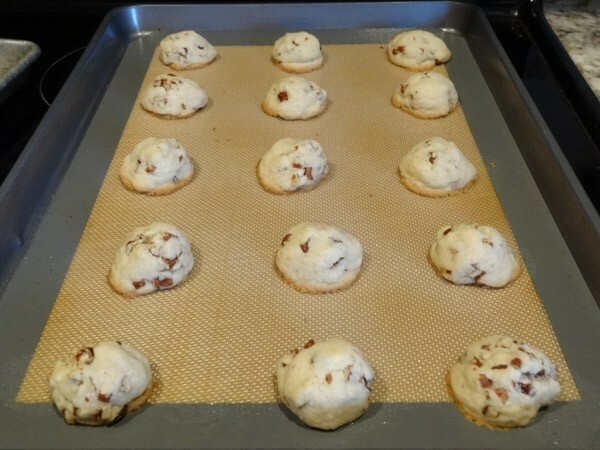 Bake at 350 degrees F for 13 – 15 minutes or until bottom edges of cookie are golden brown. Do not over bake. 6. Remove pan to wire rack to cool for 3 to 5 minutes. 7. 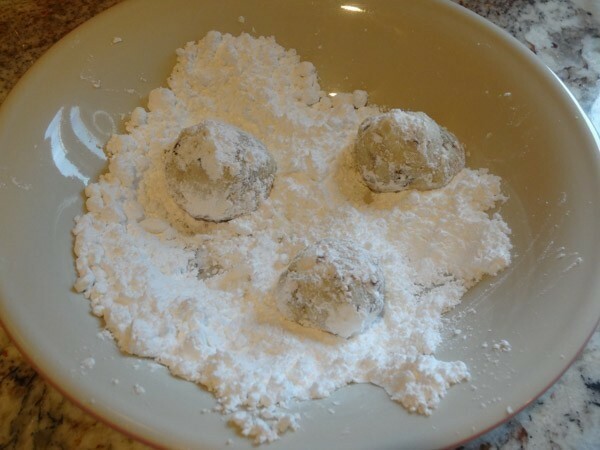 Place 1/2 cup of powdered sugar in shallow bowl and roll warm cookies into sugar. Place on wire rack to cool and then roll in sugar for second time.